In addition to the main event, are you interested in Tracy and Larry doing any other smaller events while they are at your location? If so, describe. Are you interested in the film director Gerardine Wurzburg speaking at your event? © 2019 State of the Art, Inc.
State of the Art, Inc. is an Academy Award®-winning communications company. We create programs, materials and campaigns that make the leap between good ideas and change. Visit us at www.stateart.com. 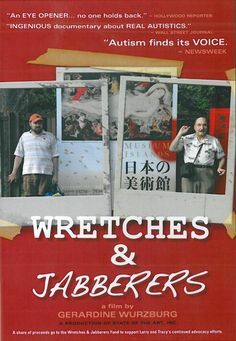 Who Are Wretches & Jabberers?